Mullen prides itself on hiring and training the best-qualified, hardest working crew in the field. Led by a team of mentors and industry leaders, our employees enjoy the benefits of a unique work environment and the results of an employee development focus. The backbone of our industry is the people behind the machines, the desks and the shop floor. At Mullen, we strive to provide the safest work environment, strong corporate philosophies and values, and development programs to suit everyone. Mullen is always on the lookout for exceptional people ready to put their skills to work. Visit our Careers Centre for current opportunities. 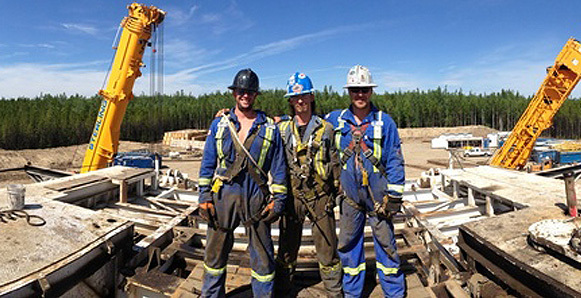 Visit our Students and New Graduates page for information on working in the oil and gas services industry and what it takes to make it in the big leagues.